To learn more about the talented graduate and undergraduate students that contribute to our research efforts, please refer to the Student Success page. As director, Brian oversees the export training, finance, and consulting services of this UA outreach and economic program for existing industry. Brian has served as director since 2004, and has over 30 years of experience in international trade research and consulting. He taught the export management course for the UA College of Commerce and Business Administration from 1990-2012. Brian is a past president of the North American Small Business International Trade Educators (NASBITE) association. 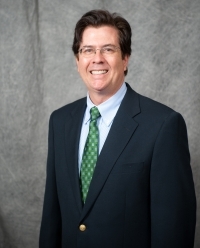 He presently serves on the board of the Alabama World Trade Association and the Alabama India Business Partnership Association and is active on a number of trade related planning committees of chambers of commerce, state agencies, and industry associations. Brian received a Masters Degree in Latin American Studies from The University of Alabama and a Bachelors Degree in Business and Intercultural Studies from the University of Montevallo. Mr. Brooks has worked at the Trade Center since 1996. He consults small and medium sized businesses in Alabama on their export potential and assists them in entering new markets. Brooks earned the Certified Global Business Professional (CGBP) designation after passing the national exam in 2007. Later that year he was also recognized by the Alabama Small Business Development Center Network as Alabama’s State Star for 2007. This award recognizes outstanding Small Business Development Center (SBDC) staff from each state program. Brooks currently serves on the Board of Directors for the AlabamaGermany Partnership and the North Alabama International Trade Association (NAITA). In 2008 Brooks was asked to represent Alabama in the Hardwood States Export Group. While completing a BS in International Marketing and Management at The University of Alabama, Mr. Brooks participated in the student exchange program by studying French language and commerce at L’Institut de Touraine in Tours, France. 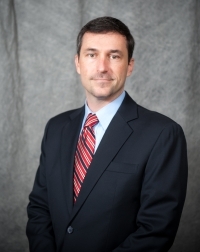 Mr. Brooks received an MBA in Business Strategy and Marketing at The University of Alabama, and worked with the former BellSouth Cellular Corporation and Altec Industries on several marketing and strategy initiatives. In addition to business counseling and research management, he is responsible for managing the research staff, research resources, information technology, web design, and teaches an export management course at UA. Mrs. Turner joined the Trade Center in 2008. She provides import and export business counseling to companies in Alabama. She previously worked for Page & Jones, Inc. a Freight Forwarder and Customs Broker with offices throughout the Southeast, as the NVO and freight coordinator for the company’s imports and exports. 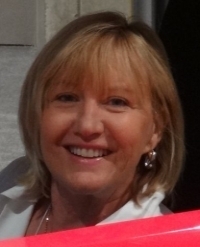 As a Licensed Customs Broker and a Nasbite Certified Global Business Professional, Carolyn is well positioned to help Alabama’s importers and exporters. She is also an Executive Board Member of the Japan America Society of Alabama (JASA). 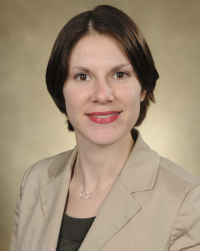 Carolyn completed her Masters in Global Business Management from the University of Alabama in 2011. And she has been teaching online export management and international business courses at UA for 2 years. Carolyn received her BS from UA in 2004 with a double major in International Marketing and Spanish and a double minor in International Studies and Latin American Studies. While completing her undergraduate studies, Carolyn worked for the Alabama International Trade Center as part of the research staff for two years. Carolyn was a member of the International Honors Program and the Business Honors Program. During her years at UA, she was able to travel with the Study Abroad Programs as well as independent travels. The destinations included Spain, India, Chile, Cuba, and Mexico. 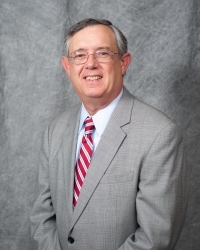 Bill is the Executive State Director of the Alabama Small Business Development Center Network, and assists the Trade Center with any large or complex export finance cases. He is a thirty-year veteran of commercial banking, primarily dealing with export finance and global trade. Bill is a former member of the Bankers’ Association on Foreign Trade and co-founded its Small Business Export Finance Committee. He has served as an expert witness regarding trade finance before several congressional committees and is a frequent lecturer for trade groups, financial institutions and universities. A New Orleans native, Bill is a graduate of Tulane University and of the Masters of International Business Studies (MIBS) program of the University of South Carolina. Ms. Van Der Toorn brings over 15 years experience in international trade to the AITC, where she serves as the primary sales and marketing consultant for the TEAM Training Program. 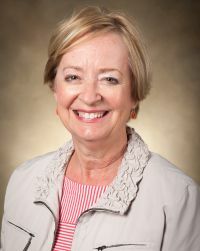 Prior to receiving her Masters Degree in International Business from the University of South Carolina in 1985, she served as International Trade Specialist with the AITC. She received a BA in International Relations in 1979, and lived and worked in Spain. Ms. Van der Toorn worked in several positions at AJC International, an international trading company specializing in food products based in Atlanta, where she built successful operations in logistics, led as senior trader for Latin America, and significantly expanded sales operations in Mexico. 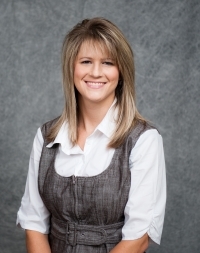 Erin joined the ASBDC / AITC team in 2013, and serves as the project accountant and grants coordinator. Ms. Jordan joined the AITC Team and brings expertise in assisting the Trade Specialists and Consultants with various reports, specialized trade events, seminars and reverse trade missions. She manages the case files and provides excellent support to the staff. Karla has been with the University of Alabama since 2001.